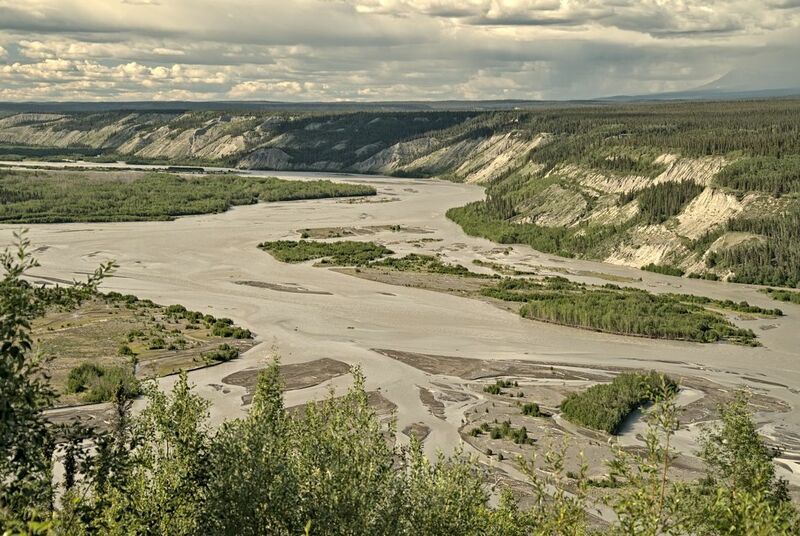 Driving Alaska, every stretch of road rewards the gaze with another life-affirming landscape. 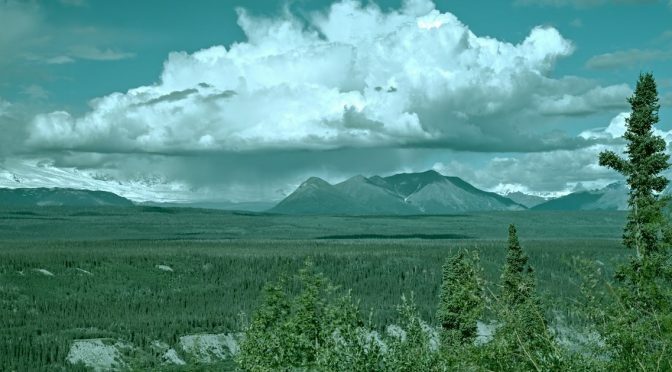 Traveling south on the Richardson Highway from Tok, we saw dark clouds brooding over the increasingly larger mountains of the Wrangells chain. 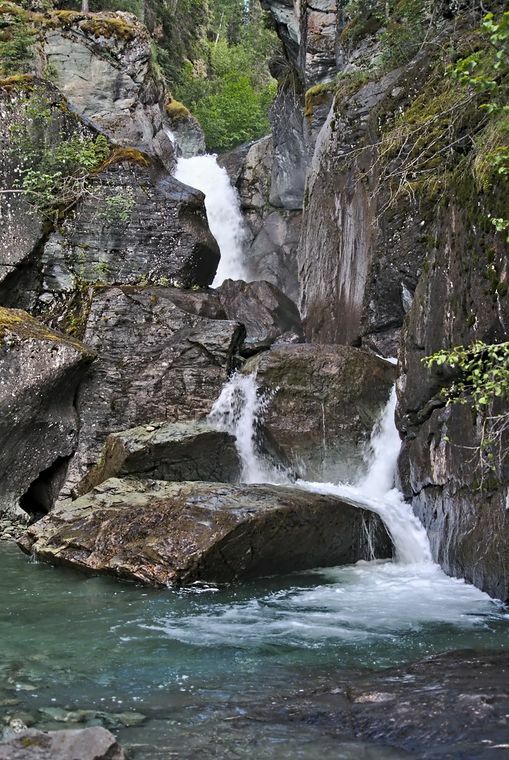 Alaska is a place of incredible mountain vistas, decaying glaciers, swift rivers and crystal lakes. It is a place where ancient gods argue, make love, create destiny, oblivious to us mortals. 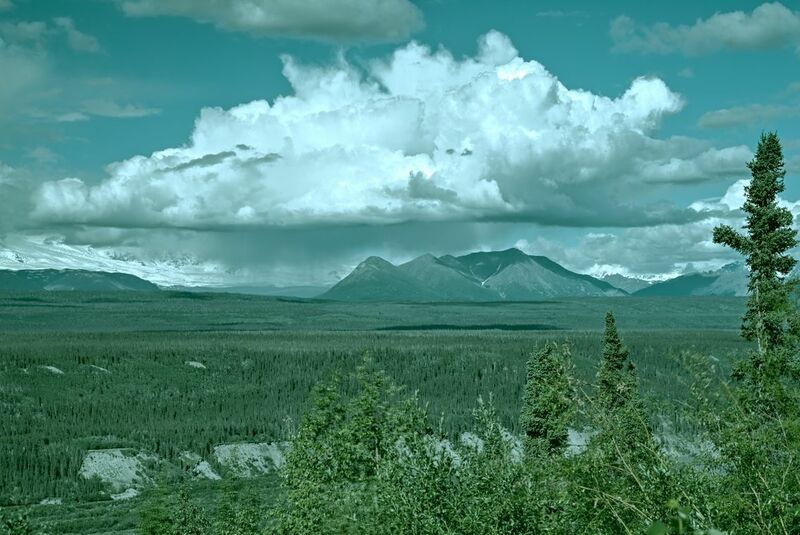 A rain cloud hovers over a foothill of the Wrangells-St Elias Mountains. 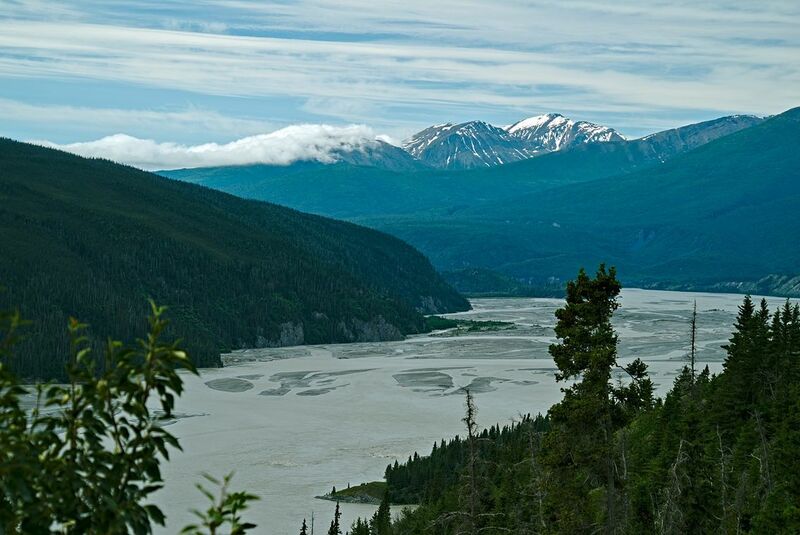 From Tok, Alaska, the road to McCarthy follows the Copper River and crosses the Chitina River. 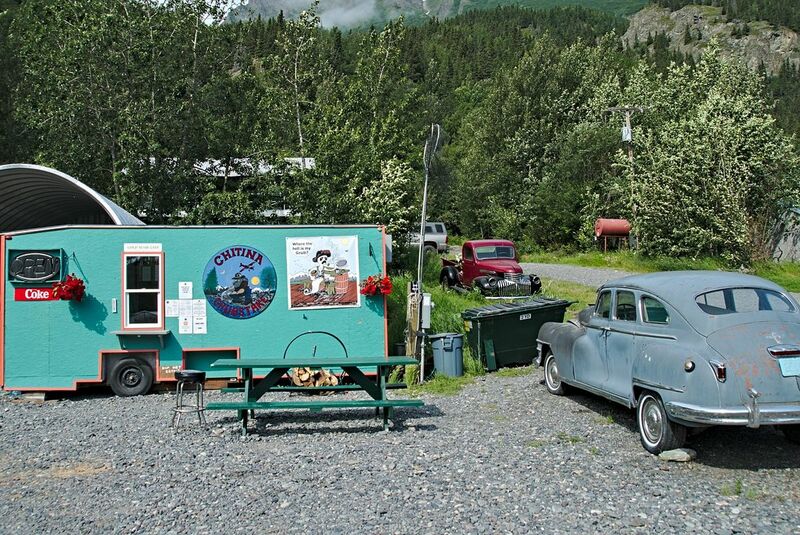 A small park set on the side of a mountain is a wonderful place to camp on the Richardson Highway. 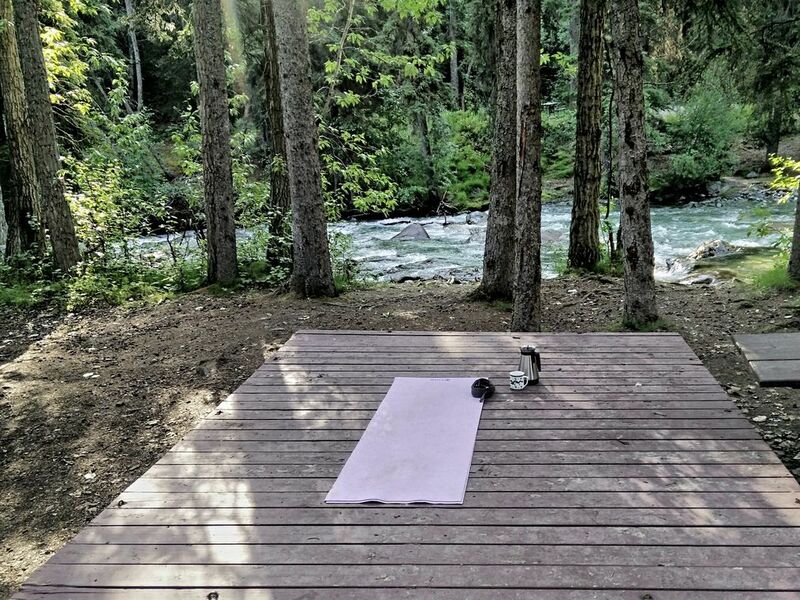 Morning coffee and yoga on a tent platform beside the rushing stream. 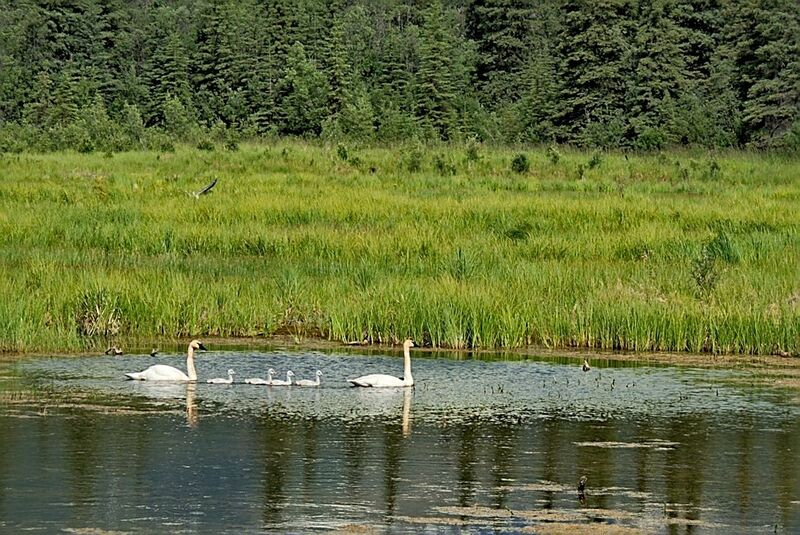 On the road to McCarthy Alaska, we spied this swan family in the grasses of the plateau. 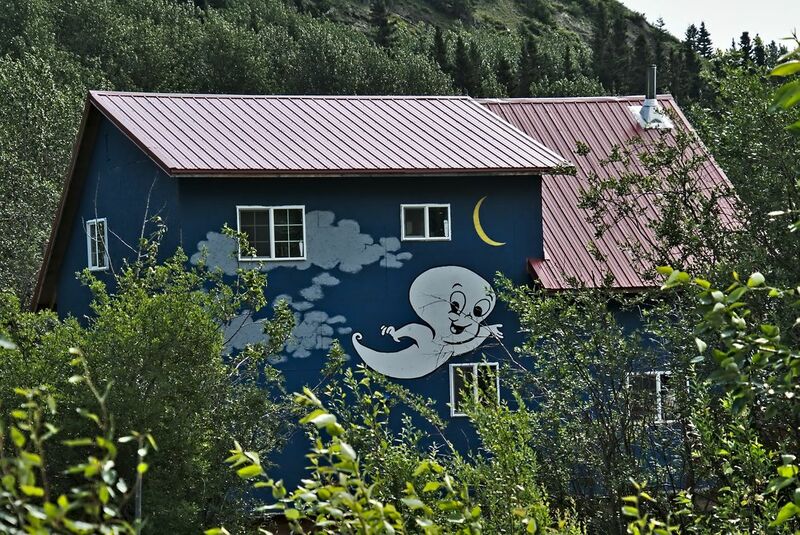 Because Chitina became somewhat of a ghost town when the copper mine closed, someone painted a ghost on his house. 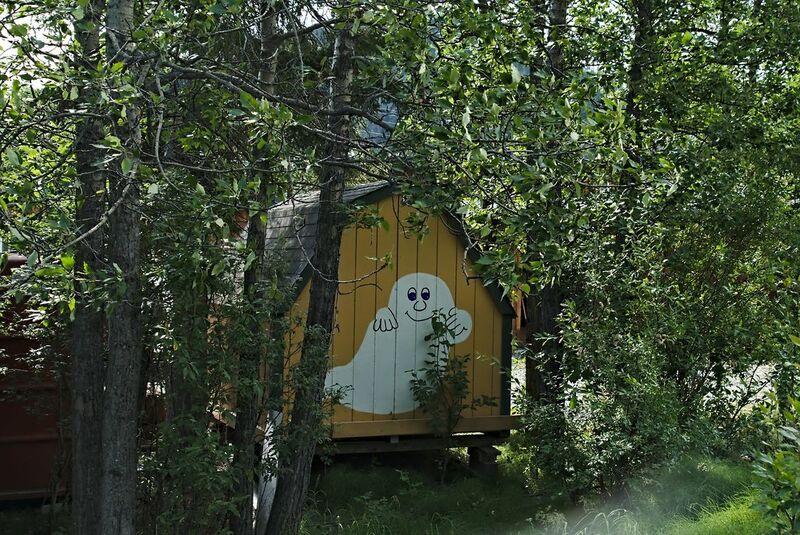 Once one person painted a ghost on his house, it soon became a "thing" for the town of Chitina. The ghost on the side of this food truck wants to know where his grub is! Glad to see you are enjoying Alaska. It looks beautiful. I am taking the RV to FL go the winter months. Hope to meet up with you there. Alaska is on my Bucket List!! Great shots. Thanks for sharing your world kids! I must not fear. Fear is the mind-killer. Fear is the little death that brings total oblivion. I will face my fear. I will permit it to pass over me and through me and turn my inner eye to follow its path. When the fear is gone, only I will remain.